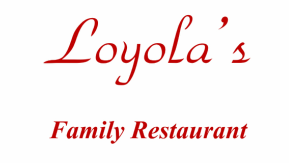 Loyola's Family Restaurant was started over 30 years ago by Loyola Baca. Today, her daughter Sarah Cordova carries on her legacy in this New Mexico landmark restaurant. Loyola's Family Restaurant has been a filming location for Breaking Bad, In Plain Sight, Terminator: The Sarah Connor Chronicles as well as many commercials. All of our delicious food is prepared in our own kitchen with tender, loving care. We are committed to giving you the best service and home cooked food for the best price. Come get your chile fix! Loyola's Family Restaurant has been recognized for the best chile, best breakfast burrito and best posole in New Mexico.Come see why this is where good friends meet to eat!